Take a walk into a never before seen realm and explore a tranquil and mysterious world teeming with peculiar creatures trying to lead their unassuming lives. 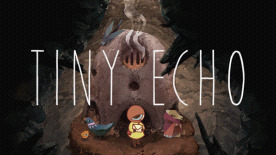 Guide Emi the courier through an intricately hand-drawn world. Solve quaint puzzles at a meditative pace. Take a dive into the wordless narrative as you uncover this unique otherworld.